4572 Shell Ridge Ct, Bonita Springs, FL.| MLS# 218063188 | Southwest Florida Residential Real Estate for Sale. 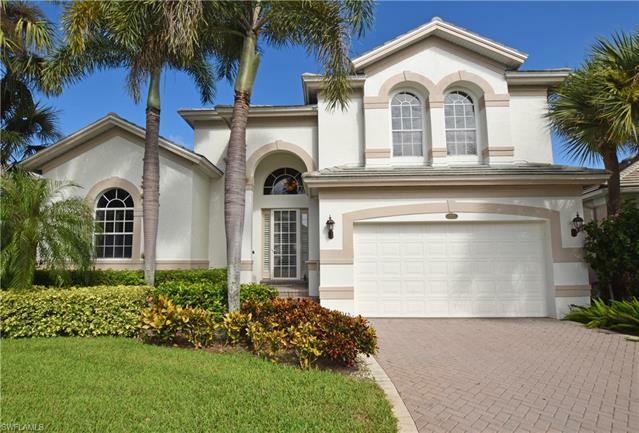 Perfectly pristine, airy and spacious 2 story villa with 4 bedrooms and a media loft in desirable Bay Harbor. Completely updated with modern finishes, truly move-in ready for the discerning buyer. Located on a quiet cul-de-sac, home has many upgrades including whole-house propane generator, newer roof, wood flooring and recently painted interior. Enjoy the Bonita Bay lifestyle with its 5 award winning golf courses, private beach, marina, sports center with resort-style pool and lifestyle center with a state of the art fitness center, luxury spa and salon. © 2019, The data relating to real estate for sale on this Website come in part from the Broker Reciprocity Program (BR Program) of M.L.S. of Naples, Inc. Properties listed with brokerage firms other than Royal Shell Real Estate are marked with the BR Program Icon or the BR House Icon and detailed information about them includes the name of the Listing Brokers. The properties displayed may not be all the properties available through the BR Program. BR data on this website is provided by Royal Shell Real Estate on behalf of Anabelle Miller. The source of this real property information is the copyrighted and proprietary database compilation of the M.L.S. of Naples, Inc. Copyright 2006 M.L.S. of Naples, Inc. All rights reserved. The accuracy of this information is not warranted or guaranteed. This information should be independently verified if any person intends to engage in a transaction in reliance upon it. Data last updated 2019-04-25 12:01:11.